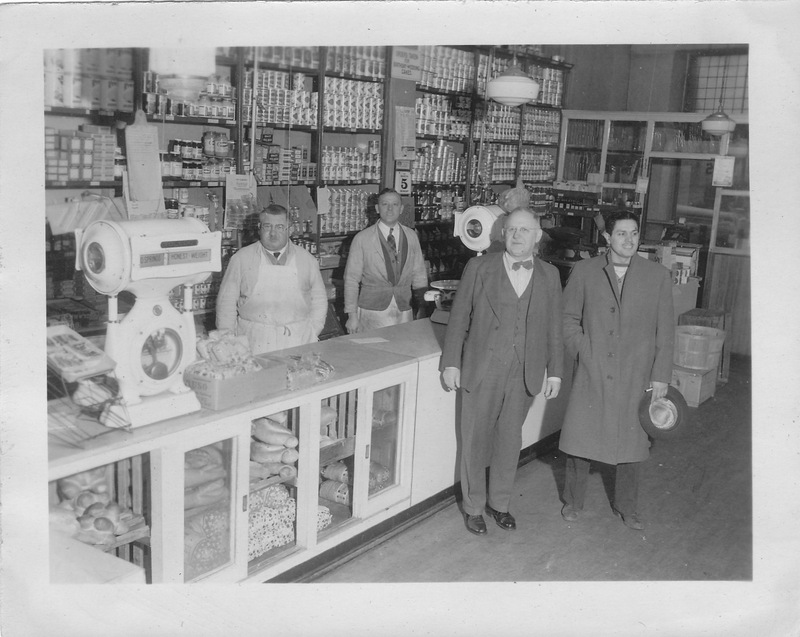 The grocery, Italian American Cooperative, Clifton, NJ. Italian-American Cooperative of Clifton, NJ. Behind counter: left, Charles Bertolotti, mgr. ; right: “Rennie”, head butcher.